LiquidCMS is a small web application development firm that specializes in the Drupal open source CMS. But what does any of that really mean? Let's start at the end and work our way back. CMS stands for content management system. The simplest view of this is that it is a website-in-a-can. A core set of web site features that can be easily installed without any HTML having to be written. More importantly though, a CMS typically implies that it has a database backend and is very well suited for managing content that fits into a structured format or content type. For example, a real estate site would likely require a "property" type which might include such information as location, price, number of bedrooms, square footage, etc. A CMS would allow for a realtor to easily add any number of properties and would also provide tools to list this information on the site (as well as filter it, search on it, archive, notify users if it changes, etc, etc...). Open Source implies a free licensing arrangement on the core software used to create the CMS. OS "projects" typically have 100's or 1000's of developers and testers working on portions of the software and this software is quite often contributed back to the community. The obvious benefit of this is simply that even though you may be giving away your work; you are opening it up to be tested and improved upon by many other developers. Linux is an example of an extremely successful OS project. Drupal is quite possibly the most versatile, extensible and rapidly growing CMS around today. It is based on PHP and MySQL (also both open source projects). The incredible popularity of Drupal is most easily attributed to its solid modular architecture and extremely powerful API. The ability for modules to interact with each other and the ease in designing new modules has given rise to some 7000+ contributed modules ranging from basic blogs, forums and page creation to e-commerce and other advanced functionality. If you are looking for a 5 page "brochure-site" it is unlikely that Drupal is what you are looking for (although it could do it). But if you have the need to add and edit your content on a regular basis or to do advanced web functionality like providing social networking features or provide advanced web based features to your users - this is a web application.. and Drupal is likely what you have been searching for. What does it mean to "specialize" in Drupal? Drupal is an extremely powerful CMS... "and with great power comes great responsibility". There is a right way to do Drupal development and a lot of wrong ways. Many firms claim to be "Drupal design houses" because they know how to enable a few popular modules and get something pieced together that will work. This isn't LiquidCMS. We KNOW Drupal. By this I mean we are extremely well versed in the Drupal API and have developed dozens of custom modules and complex web properties for clients such as Universal Music, the New York Times and others. 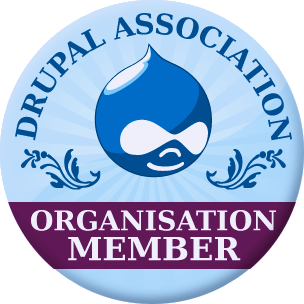 Many of these modules have been contributed back to the Drupal community and are used on web sites all over the world. We have built numerous very complex sites and pride ourselves in creating Drupal architectures that work and will continue to work. Peter has been developing in Drupal for over 12 years, and has been working in technology for more than 30. Prior to founding LiquidCMS, Peter spent 15 years in the Telecommunications industry as a developer (hardware and software), network engineer and development manager. Since starting in Drupal, he has published more than a dozen projects on Drupal.org, written well over 100 modules and taught several courses on Drupal site architecture. LiquidCMS's reputation within the Drupal community stems in large part from its keen understanding of the Drupal API and our very strong Drupal architecture skills. However, outside of the Drupal community; the strength of our firm is seen as "how great our sites look". This is due in large part to Penar's theming expertise. Without question, Penar is one of the leading Drupal themers in Canada and is responsible for the front end integration (i.e. the look and feel) of all LiquidCMS projects. Mimi has a degree in design and has been designing in both digital and print for almost 10 years. She has a keen understanding of marketing, psychology and the human factor. She also has an MBA.